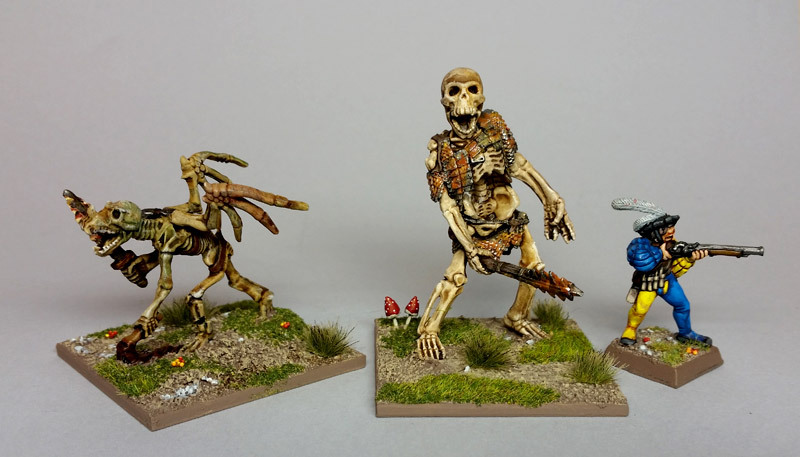 It's officially Deadcember, and I've officially finished the first of the (un)dead. Skeletal demon and giant from Ral Partha. 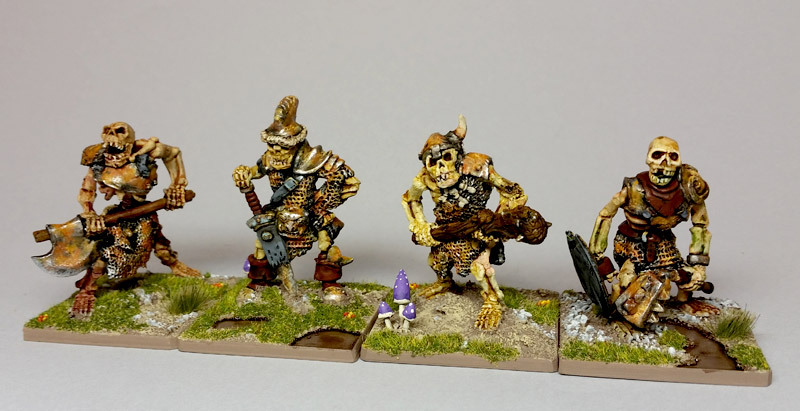 Skeletal ogres from (left to right): Ral Partha Europe, Justin from the Oldhammer FB group, Ral Partha Europe, and Krakon Games. Time is getting a little tighter for me, so I cut a few corners but I still think they all look pretty good!